This is an extension of our innovative Team Building workshop, designed specifically for executives and managers and conducted in the Channel Seven studios. Instead of sitting around a conference room and talking about team-work, we put theory into action and get your team to create their own TV show. It’s a unique and entertaining approach to reinforcing your organisational key messages, and ensuring all team members work well together. This challenge will take your executives out of their comfort zone while testing their skills and abilities to perform team functions in a memorable way. It’s an exciting new program designed to build trust and synergy; create alignment, focus and accountability for your executive team. This session is led by Rupert Bryce an Organisational Psychologist and Executive Coach who specialises in Team Performance. Rupert has worked with thousands of teams and has insights into what creates a cohesive and high performing teams. He uses the Team Management Systems profiling tool to help diagnose team issues and refocus teams on effective communication and performance. Success relies on effective , consistent and compelling communication. Work in various TV roles to experience all the important pieces of the jigsaw puzzle that are needed to produce your organisation’s news bulletin. Understand the importance of diverse roles. 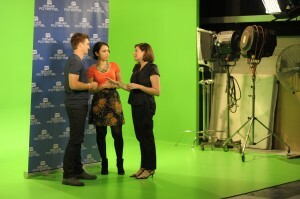 This workshop is conducted in Brisbane’s Channel Seven Studios at Mount Coot-tha.